This book has been a fresh experience for me. 1. I know nothing about soccer. 2. I am terrible, terrible at sports. 3. I generally skip sports related books. 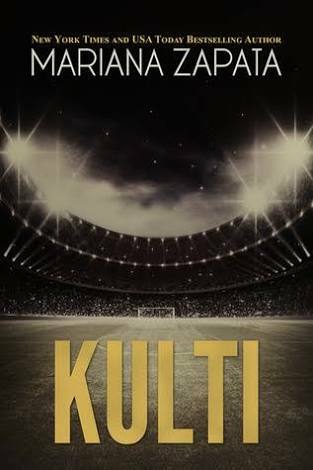 I don’t know why I picked up Kulti. It is so different from my usual genre. But it had an alpha male hero, and the blurb appealed to me. The moment I started reading the book, I was hooked. No there wasn’t much action actually to be fair. But something about the slow but steady pace of the book was really soothing. Writing style: I loved the writing style. Its different. The author cuts scenes at important points, but if she didnt cut it there it would just be another cliched book. And Sal’s narrative is super-cool, even with the slow pace, she manages to keep your attention on the pages. Buuut everything else made up for this little problem, and truth be told, its not THAT unrealistic as well. In fact, the pace and other incidents in the story are REALLY realistic. Overall, its a book I wont be forgetting very soon. Have you read it? Do you want to? What’s your opinion about sports related books? Comment below.